I decided to do a little more work on my Australian Blackwood bridges. 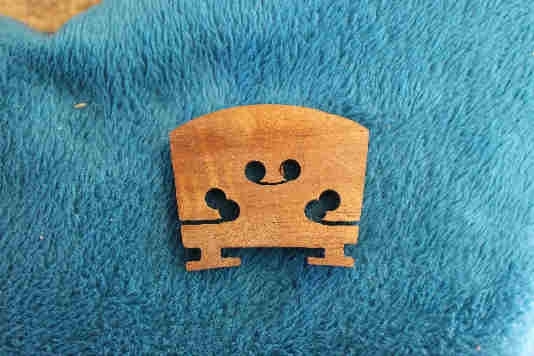 I have a Livingstone violin (black painted) that I bought for about AU$40 that sounded a bit dull at the time and so I've been working to improve it. I had made it a new bridge from a maple blank and fitted a new set of strings and the change was considerable. I was feeling a bit bored this weekend so I decided to give it an Australian Blackwood bridge. I sat down and made it from 'scratch' and this is the result. I can't say that I hear much difference if any but if I have to choose one, I'd take the recording using the blackwood bridge. Blackwood was definitely an improvement. Had a little less treble and a smoother bass. HOWEVER ..... I did detect a little more enthusiasm when you played the Blackwood so that might account for something. I think you will be the best judge as time goes by. What were you doing with the sound post during all these changes? Did you move it at all ? I would guess that you know better. Because of slow 24k dialup, I'm not able to listen,,but I certainly want to say Thank You Ferret for doing this. 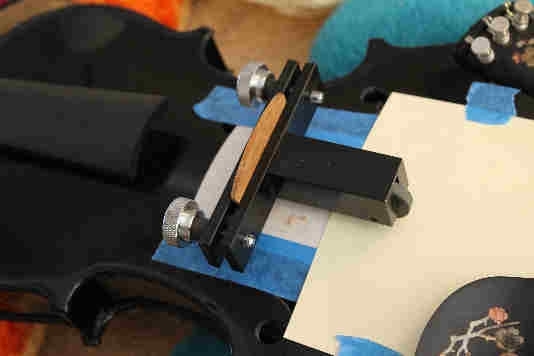 There are lots of ways to enjoy a violin. In fact I look forward to all your posts. At the very least, I would say that Blackwood is at least equal to Maple as a tone wood. Is the Maple bridge cut the same as the Blackwood? 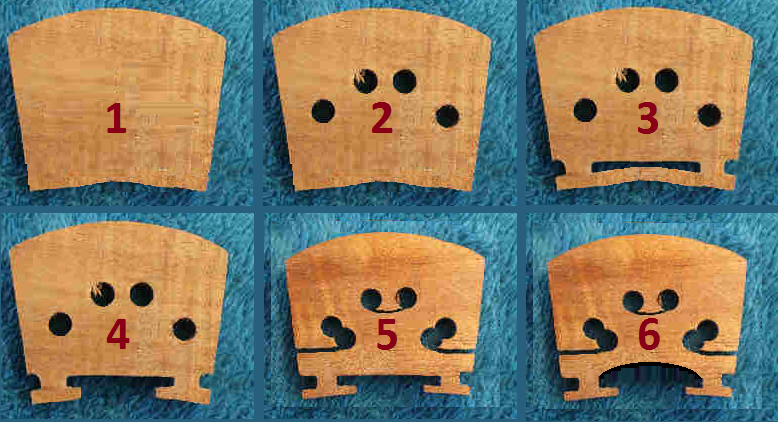 The differences, if any, in thickness and amount of wood removed for the cut outs is also a factor. Its interesting that only a slight difference is heard. I don't know what the response time would be if someone with FM's proficiency played it, but to the level I will ever play at, it makes me start to think more exotically towards the bridge. Why is the bridge shaped like it is? 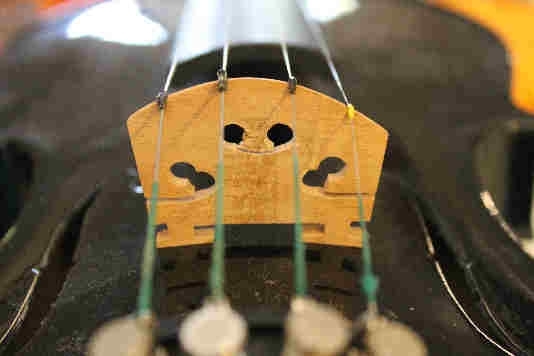 With todays advancement in string technology, is that traditional bridge shape really required? I remember maybe a year or so ago Ozimus was playing around with different bridge shapes. I don't know what ever became of his experimenting. I believe perhaps even Daniel was also. 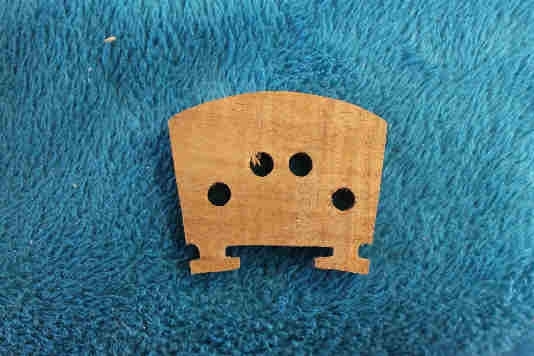 Ferret, since you have the tools at hand, see if the following shapes have any reasonable bearing on the energy and sound transfer through to the violin cavity. You really only need to make 1 more. advance it through the stages and record yourself for our listening pleasure. I prefer the Blackwood bridge over the maple one. However, my impression was that neither bridge was optimized for its density and sound character, hence may not be at its very best. Your violin sounded real nice the way it is though. I would be happy just with it. John, good job on making the bridge. I could hear a difference between them, and like the Blackwood best of the two. To my ear, it sounded a little more robust and even toned. I did notice during the Blackwood boat song, you were playing a little closer to the bridge, so that would contribute to some slight sound difference too. It's really neat that you're trying out some alternate woods. There is a new project underway. Please don't forget the bridge with the holes in the feet. I would try it but I avoid the sight of blood (mine). The modification would need the right tools and skill and I have neither ! !